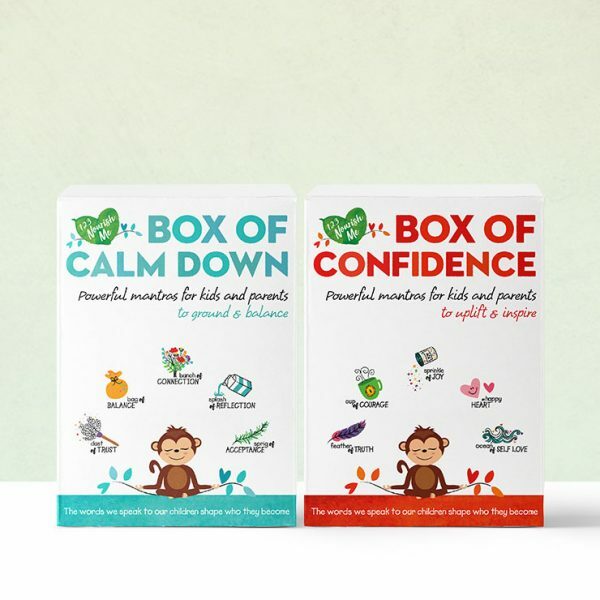 Box of Confidence is a precious box of powerful words designed to uplift and inspire children & build on the connection between parent and child. 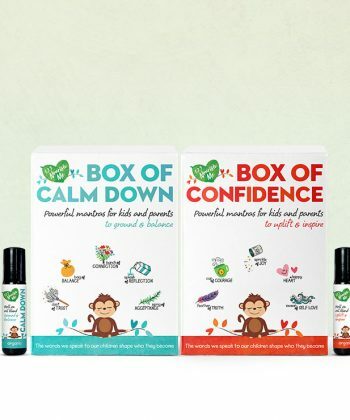 Box of Calm Down is designed to ground and balance your child. Both boxes give your child the words to build strength and their own inner voice. 21 powerful mantras in each box, designed to create lasting change and build confident, happy kids. What is the Box of Confidence and Calm Down all about? For thousands of years mantras have been used to quiet the mind, experience inner stillness, promote the development of virtues like empathy. Mantras, although simple words repeated over and over again, are immensely powerful in their ability to raise our consciousness. Our mantras have been created to help grow a special bond between a child and parent. We have longer morning and night mantras, and then we have mantras which can be used throughout the day. How do I use Daily Mantras? Words to uplift: These are for your child to read OR the parent can read each line and have the child repeat after them. Words to support: These are for the parent to read directly to the child to help build confidence. Loving these cards. Good night mantra really calms miss 2.5 down to get ready for bed. Thanks again ladies. I have to say that you guys have taken it to the next level! My girls have seen me use my affirmation cards daily and are always really interested. When i saw these i knew i had to get them for my girls.